Brackets make such bold statements wherever the customer installs them. Typical places to install brackets are, but not limited to, the kitchen, living room, and various types of entry ways. Sent from Farmingdale, New York, Brian emailed us his beautiful project picture. 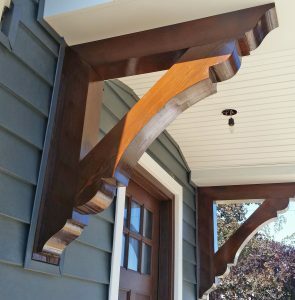 He purchased two Ekena Millwork Olympic traditional brackets. Out of all the wood species to choose from, he chose the Western Red Cedar in smooth finish. 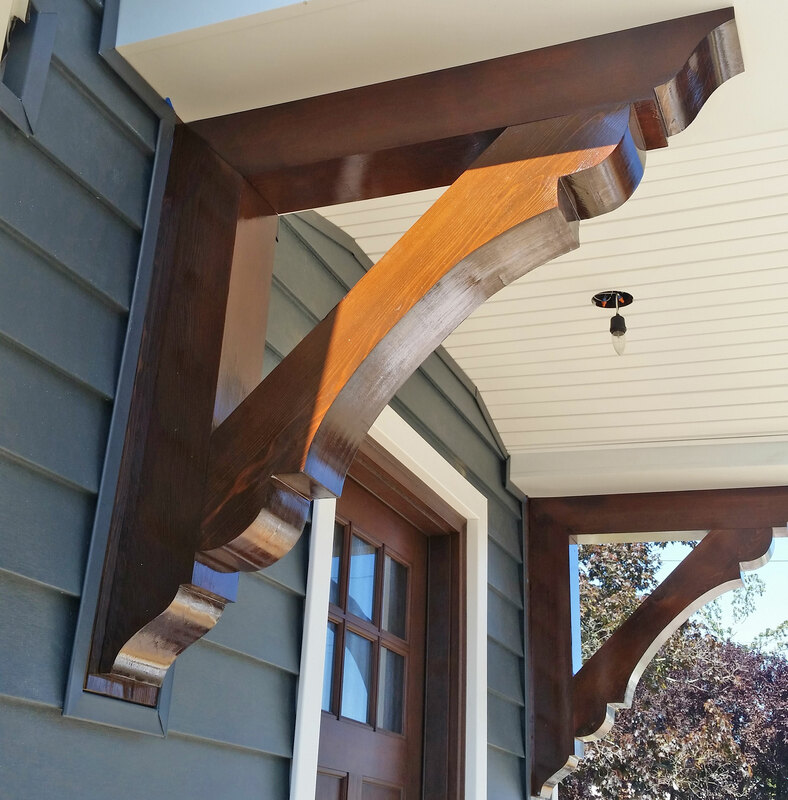 After applying a coat of wood stain, Brian installed the brackets at his front door. It looks great how they frame the doorway! The Olympic traditional brackets are just one of many wood brackets in the Rustic Collection. Our Rustic wood millwork utilizes the technologies of today to build the ‘log and timber’ wood products that have been in architecture for centuries. Because our products are not kiln dried, each item in our Rustic Collection is 100% unique and will contain the natural variations that the wood species offers. Your wood bracket will contain unique colors, grains, textures, knots, sapwood & heartwood content and possible sap bleeding, and even natural checking, splitting & cracks. These natural variations are what make the Rustic Collection stand out from the rest. For more products like this one, click here!